The facilities for swimming in lakes and rivers are often excellent, with many boasting a mixture of spotless toilet blocks, manned car parks and refreshment vans, to ensure the best possible experience. Amsterdam, for example, has nine official places where you can swim, if you dare, and the water is currently around 22 degrees. In fact in the Netherlands as a whole, there are around 600 official places to swim. Noord-Holland tops the provincial league with 151 but even Utrecht has 25 places you can take a safe dip. Every province publishes an annual list of approved swimming spots, and the transport ministry – which manages 6,000 kilometres of rivers and canals – teams up with local water suppliers and the environment ministry performs weekly checks on the water quality at each site during the official swim season, between May 1 and October 1. ‘People here have always been keen swimmers but now the popularity of open water swimming is certainly increasing,’ says Ellen Julius of the Dutch swimming federation, which organised the event. ‘Swims like the one in Dordrecht are regularly happening across the country and attract lots of people. People love to take to the water in the Netherlands, but they are also well aware of the regulations around these activities,’ she adds. And that really is the key. To all of you out there soaking up the last bits of summer, take the opportunities to swim outdoors but take heed of the warnings. Above all, enjoy. The Telegraph reports: Organisers of Stert Island Swim, which was first held in 1915, cancel 2016 event after waters are deemed unsafe by EU – despite apparently being cleaner than ever. The Stert Island Swim, which takes place every year off Burnham-on-Sea in Somerset, has fallen foul of the EU’s decision to significantly increase the pass-mark for safe bathing waters. Burnham Jetty North was one of 10 beaches that were previously regarded as safe but have been deemed too dirty for swimming under the new standards, which are roughly twice as tough as the old ones. The Guardian reports: You think it’s cold out? Try going to Tampere, Finland, where temperatures can hit -25C in winter (-5C is considered a warm day). Now hold that thought – and imagine going for a swim in a frozen lake in those conditions. This is what locals in this inland city like to do each day, warming up in a sauna before taking a dip in breathtakingly cold water. Finnish born photographer Markku Lahdesmaki spent some time documenting this magical ritual at one of the lakes near Tampere; producing a short film that captures people of all ages calmly stepping into the hole in the ice. Far too casually in our minds. With winter swimming festivals happening around the world right now, this lot truly are an inspiration. Improbable you may think – but actually it’s true! On our recent visit to Switzerland, my wife and I just managed to squeeze in a visit to Leysin. The Tom-Tom left us in no doubt that we had found the right place, there we were on Avenue Rollier, the site of a sanatorium erected to treat the most severe cases of surgical tuberculosis. Treatment at the Grand Hotel, (now Leysin American School) rescued patients from almost certain death by exposing adults and children to lifesaving sunlight and a healthy diet. Doctor Rollier opened his Swiss clinic in 1903 and through measured exposure to the early morning sun he progressively improved the terrible condition of his patients and in many cases affected a complete cure. The patients he admitted were in a terrible condition, had open sores, were emaciated and lethargic. The treatment was slow but extremely effective in fact the general health of his patients achieved proved quite remarkable. Visitors often commented on the lack of coughs and colds among children who were so exposed. 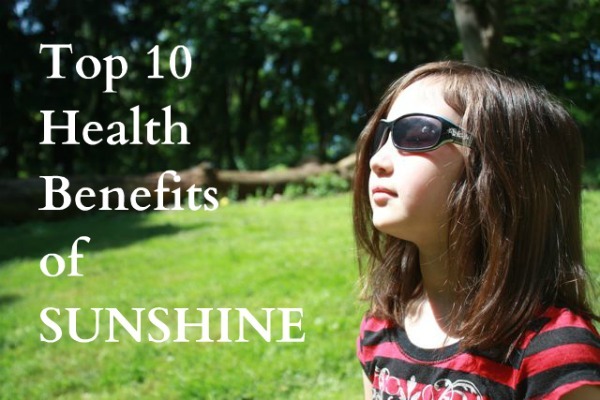 The idea that sunlight could improve a persons health soon spread abroad and children in particular were encouraged to play outside as much as possible. The picture above from a health center in Finsbury promoted outdoor living for better health, and the British soon came to realise that a good suntan was the hallmark of good health. The industrial city’s of Briton were sun starved and even the little light that slanted between closely built factors and slums was blotted out by thick smoke and smog. The early morning swim (pictured above at Victoria Park London) well suited an industrial nation keen to see the unwashed bathing at last whilst ensuring they were not detained from a full day of slave labor working the machine of change. The deplorable state of the nations health became obvious when fit and healthy men were required for trench warfare during the first world war. So many men were in such poor health that something had to be done! Major reforms saw public health celebrated in Britain which led to a healthcare system that became the envy of the world. Lidos were built country wide as opportunity’s firstly to swim but also to develop better health through sunbathing. Physical perfection was promoted and beauty pageants and diving displays made the Lido a social magnet. The popularity of the lido evolved from a determination to improve the nations health, but the switch to a sunbathing era saw swimmers flushed out of rivers and lakes into these purpose built solarium’s. When holidays abroad became an option for the working class, lidos were abandoned on all but the hottest of days as people who had experienced the good life abroad would now only bathe back home when it was simply to hot to do anything else. Now this is a very brief overview of the social changes that have impacted on river and lake swimming in the UK, and their is a great deal more to the story. I have tried to convey the impact of social change on the British swimmer as simply as possible in; Hung Out to Dry Swimming and British Culture. fastcoexist.com reports: “Germans could soon recapture an idyllic part of old city life: Being able to jump in the river for a swim whenever you want. One hundred years ago, anyone who wanted to go swimming in Berlin could jump in the local river at one of 30 bathhouses. That all changed when the city built a new sewer system that overflows into the river every time there’s heavy rain. A new project hopes to make a section of the river clean and swimmable again–creating the largest pool in the world, at almost 2,500 feet. The project would transform a side canal that has been closed to boat traffic for the last decade. At one end, a natural filter, made of layers of gravel and pollution-eating plants, would purify the river water flowing into the pool. A bypass would send sewer water in another direction, and the top of the structure would turn into a pedestrian and bicycle bridge. The beginning of the canal would be “re-naturalized” into a refuge for urban wildlife and a new park. “The steps necessary to convert the river arm into a swimming pool are surprisingly simple and very cost-efficient,” write architects from Realities United, the firm leading the project, who first had the idea in the 1990s. Now, as the city has changed two decades after reunification, they think the time is finally right to build it. The team will finish a feasibility study next year and is working on getting approvals from the city. Similar ideas are in progress for New York, and London. In the UK we have our own ideas when it comes to right and wrong and public safety. Separated by a wide expanse of water from our American cousins and a much narrower channel from our European partners, our Island mentality is costing lives. In America and Europe outdoor swimming is the expected norm. Summer is a happy time of playful water fun but American and European attitudes seem to have no place here. Britain once led the world into a new association with water. Mass education of school children in the art of swimming reduced drownings and increased the quality of people’s lives. But today in an effort to be politically correct and not to offend anyone, serious flaws in our education system are accepted and sustained. The message in this video may seem unacceptable today. Now everyone’s a winner, theirs no wrong answer and no one is to be excluded. But these ideals do not work in an aquatic setting; they don’t work in the real world. Education is the key element of water safety and survival. People don’t live in ignorance, they die in ignorance. It may not be PC to mention that a drowning victim couldn’t swim or that his lack of education or ability in swimming outdoors cost him his life (yes, it is usually males that drown) but it’s the truth. I look back on my childhood with fond memory’s, watching Tarzan swim and fight off crocodiles and Tom Sawyer and his friends rope swinging into the Mississippi. I read about Swallows and Amazons where unsupervised bathing was part of a wonderful summer. And I remember fathers words: “Better drowned than duffers, if not duffers won’t drown.” It might not be PC to say that the nations children are “duffers” but if they weren’t aquatic “duffers” they wouldn’t drown! Knowing where and how to “swim safe” is essential and telling adults and children not to go in swimming is just not working. In a country that recommends higher education to even the least able, we are sadly lacking when it comes to our understanding of a child’s fascination with water. Despite warnings to keep out and stay away, children instinctively know that plunging into cool refreshing water on a hot sultry day is going to be just delightful. Our European partners and our American cousins recognize this fact and until we do the same needless drownings will sadly be a constant feature of our increasingly hot summers. The good news is that something can be done! Swimming can be once more celebrated rather than marginalized. As an outdoor swimmer I’m fed up with being Hung Out to Dry. I want to go in swimming; to protect youngsters through education, and see news reports expose the truth, the tragedy of drowning is not that someone went into a river at a beautiful location but rather that a lack of understanding on the part of the non swimmer cost him his life. “Ignorant” men and boys will continue to drown until they are educated out of ignorance.